Rejection - it's a fact of life for most job hunters. After a while it starts to grind on you. I know it's hard not to take it personally because every rejection pushes validates your worthlessness - at least that's how one woman described here feelings to me last week. "The silence from hiring mangers when you apply on-line is deafening," she said. I know exactly what she means. The lack of acknowledgment that you even exist eventually gets to most people. As a head-hunter who's done quite well over the last 25 years, I've had a front row seat as friends and family had their "buttons pushed” — not once — but sometimes dozens of times each day. BUT the cold hard truth is ... it doesn't have to be that way. If you want to find a job faster than the national average of 39 weeks, you need to do four things average people don't do - starting with taking responsibility for developing empowering yourself. Only you know your strengths and weaknesses. Only you know what you really enjoy doing. Only you know where you want to work and why. Only you know how you can help a prospective employer. Only you can articulate your interests and strengths in a cover letter and resume. Don’t let anyone else do your resume or your cover letter. You need to do it yourself. You can ask people to review it but it must come from you—even if you are receiving outplacement counseling. Come interview time, you need to mirror the person you have portrayed on paper or you will strike out. You will represent yourself better when you own every word on the page. You can look at at example resumes for inspiration but yours must be unique. Surround yourself with positive people. Get rid of anyone who sympathizes with your plight and is eager to commiserate. You do not need sympathy. You need support, and there is a huge difference. Supportive, helpful, optimistic family, friends, and reputable professionals remind you of your strengths and give needed encouragement and feedback. Sympathizers zap your energy and ­self-esteem. Staying inspired requires the input of inspiring people, so find a trusted confidante who can help you polish your presentation, provide moral support, and strategize. You need to feed your opportunity funnel in the same way that sales people feed their sales funnel: so many leads, so many calls, and so many interviews. Like a good salesperson, you need to track and record your efforts. You must keep a record to show yourself that you are making progress. If you can visually see progress, you will have an extra incentive to keep at it. If you’ve completed 10 calls today, then record it. If you have sent out a batch of networking letters, note that, too. I encourage my friends to chart their accomplishments on the wall as I do, because “seeing is believing.” Note how many interviews you’ve scheduled, calls you’ve made, call-backs you’ve noted, and research you’ve completed. It is critical to be able to view your “job-hunting funnel” to ensure you have adequate leads to provide a steady supply of interviews. AND make certain your LinkedIn profile is working hard for you. Keep your statements in the present not the future tense. Read your list every day. Post it at eye level as a subliminal motivator. You can be your own worst enemy or your biggest fan. Give yourself credit for what you’ve completed and don’t beat yourself up over what you ­haven’t yet accomplished. Work at a steady pace with your end goal in mind. Your new job, and the burst of ­self-esteem that comes with it, will be worth all the effort. Now you may be thinking that all of this sounds a little too simple to work. And you would be 1/2 right. It is simple BUT it also does work. There is very powerful psychology behind it. Imagine for a second how you would feel if you just won the lotto. See how your body and mind just shifted? How positive you suddenly felt? Your brain is that powerful. Use it to your advantage by dwelling on the positive. is that on average - throughout the recession - 4 million Americans are hired every month and many millions of jobs go unfilled. How many jobs went unfilled in America last month? Click this link to see how many jobs went unfilled last month and this link to see how many people were hired. Surprised? The biggest untold story in America is that the way employers hire has dramatically changed and if you're relying on job boards, newspapers and "traditional networking" you're missing out on 99% of the action. That's the New Reality. 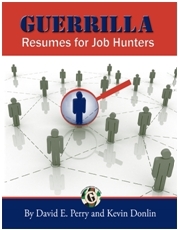 If you would like ideas on how to penetrate the hidden job market effectively today, grab a copy of this audio CD Job search Secrets Revealed. It's free you can thank me later.